TokenMarket and Lewis Silkin would like to thank all those who attended their recent collaborative event focussed on the process of raising funds within the tokenised economy. Read more TokenMarket Updates here. 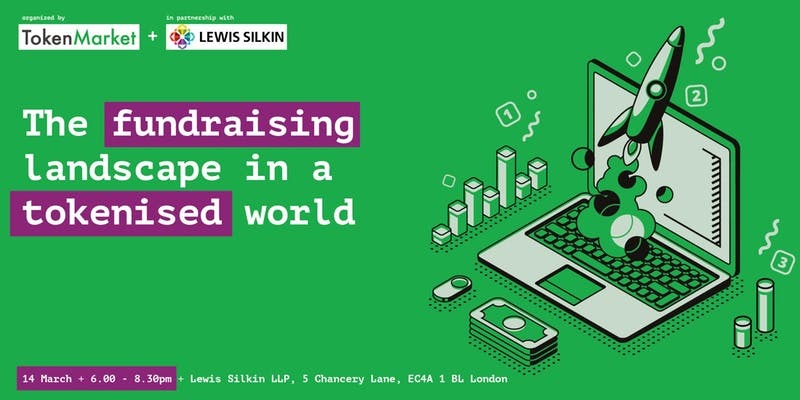 TokenMarket and Lewis Silkin, one of the UK's largest commercial law firms, would like to personally extend thanks to all those who were able to attend the recent event titled "The Fundraising Landscape in a Tokenised World." 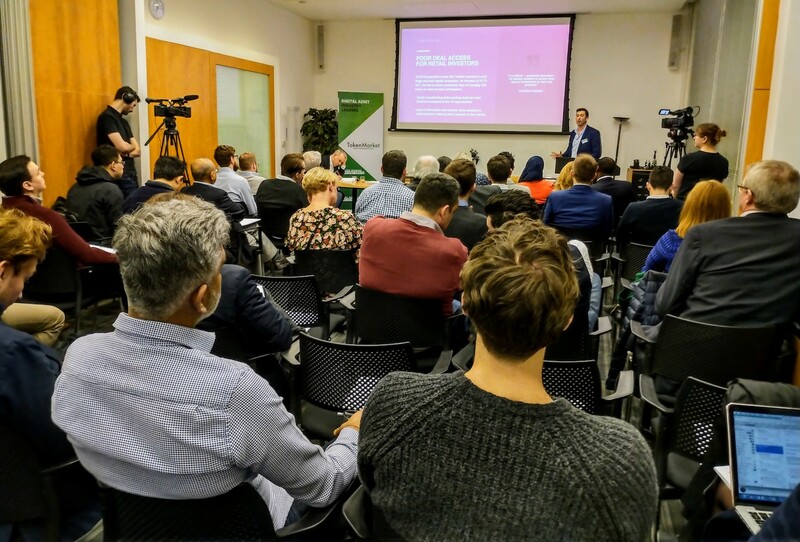 The event, which saw close to 80 people from varying industries including the regulatory and legal sector, Venture Capital investment firms and blockchain entrepreneurs all attend to see how the early stage funding economy looked through a tokenised scope. The event was introduced by Lewis Silkin partner Tim Leeson who welcomed all attendees. Leeson went on to outline how the firm had been looking into the world of tokenised assets for a number of years, highlighting the various issues that regulators and legal firms have been facing with this new kind of asset class. Before handing over to TokenMarket's Ryan Hanley, Leeson went on to explain that the firm was excited to be working with a new disruptive technology that has the capability to change the face of fundraising if adopted correctly. Ryan Hanley, Managing Director of TokenMarket UK, delivered with an interesting and insightful presentation on how the technology behind a Security Token Offering (STO) could truly benefit the fundraising landscape. Drawing on multiple sources, Hanley's presentation led the audience through the various issues that IPOs currently face such as lack of liquidity, high listing fees and a lack of 24-hour trading and, more importantly, investors not being the custodian of their assets. Creating a constructive argument for the STO industry, Hanley also highlighted how "tokenization on its own does not bring liquidity to a market" and relied on further development from a number of areas, such as regulation, in order to become a success. Hanley went on to moderate an excellent panel that discussed varying issues of the fundraising landscape within the tokenised asset space. The discussion, which had David Willbe, Partner at Lewis Silkin, Irfon Watkins, Founder and CEO of DOVU, and Townsend Lansing, a securities consultant with almost two decades of experience in the product development area, discuss key areas of the tokenised securities world. The key topics of discussion were focussed on areas such as why traditional markets are so tough to list on, VCs investing billions in early-stage startup companies, would secondary markets ultimately lead to faster liquidity and what are the advantages of investors having full ownership of a digital share. Interestingly, one of the key areas of discussion that was had by both the panel and the audience was whether 24-hour trading was necessarily a good thing to have. Citing the FX markets only becoming 24 hours once the internet was applied to them, the discussion flowed through whether or not this would create a better or worse environment for tokenised assets to be traded. Whilst the digital asset space saw the birth of 24-hour trading with tokens becoming a reality with ICOs, there was a split view on whether or not this environment would give the fundraising of tokenised securities the help it really needed. The well-rounded discussion held by the panel worked its way through some key topics and answered a lot of misconceptions that surround the fundraising landscape when it comes to tokenised assets. 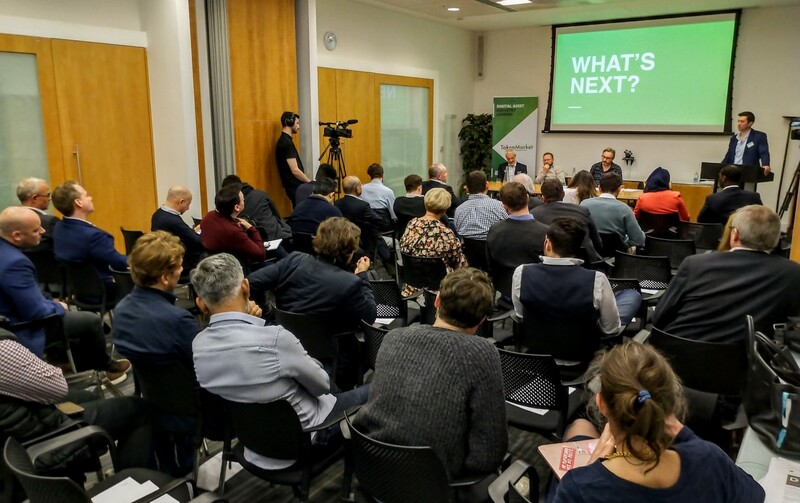 TokenMarket and Lewis Silkin would again like to thank all of those who came to the event focussed on the landscape of fundraising in the tokenised environment. The two businesses are looking forward to working together again and are hopeful to see many more faces at the next event which is expected to be coming soon.